Please select a Centre to see products in your Centre. Apple iPhone XS Max (512GB Gold) at £39.99 on O2 Refresh Flex (36 Month(s) contract) with UNLIMITED mins; UNLIMITED texts; 100000MB of 4G data. £81.00 a month. Extras: O2: Popcorn Pass Membership. Apple iPhone 8 (64GB Space Grey) at £699.00 on Big Bundle 8GB with 2000 mins; 5000 texts; 8000MB of 4G data. Extras: Top-up required: £20. 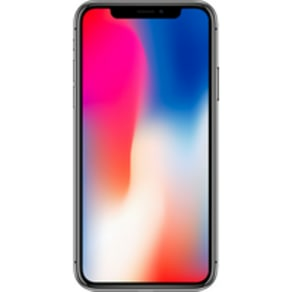 Apple iPhone X (256GB Space Grey Refurbished Grade A) at £30.00 on O2 Refresh Flex (36 Month(s) contract) with UNLIMITED mins; UNLIMITED texts; 50000MB of 4G data. £65.67 a month. Extras: O2: Popcorn Pass Membership. Apple iPhone 7 Plus (128GB Gold Refurbished Grade A) at £30.00 on O2 Refresh Flex (24 Month(s) contract) with UNLIMITED mins; UNLIMITED texts; 15000MB of 4G data. £46.42 a month. Samsung Galaxy S8 (64GB Orchid Grey) at £30.00 on O2 Refresh Flex (24 Month(s) contract) with UNLIMITED mins; UNLIMITED texts; 30000MB of 4G data. £46.59 a month. Apple iPhone 7 Plus (32GB Gold Refurbished Grade C) at £30.00 on O2 Refresh Flex (36 Month(s) contract) with UNLIMITED mins; UNLIMITED texts; 50000MB of 4G data. £42.95 a month. Extras: O2: Popcorn Pass Membership. Apple iPhone XR (64GB Blue Refurbished Grade A) at £29.00 on Red Extra (24 Month(s) contract) with UNLIMITED mins; UNLIMITED texts; 5000MB of 4G data. £46.00 a month. 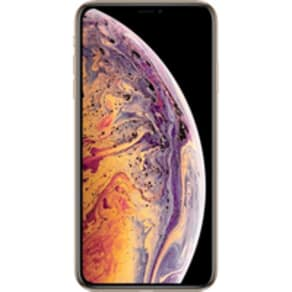 Apple iPhone XS Max (512GB Silver) at £30.00 on O2 Refresh Flex (24 Month(s) contract) with UNLIMITED mins; UNLIMITED texts; 20000MB of 4G data. £95.42 a month. Huawei P20 Pro (128GB Black) at £49.00 on Red Extra (24 Month(s) contract) with UNLIMITED mins; UNLIMITED texts; 4000MB of 4G data. £40.00 a month. Samsung Galaxy S8 Plus (64GB Midnight Black) at £49.00 on Red Extra (24 Month(s) contract) with UNLIMITED mins; UNLIMITED texts; 4000MB of 4G data. £52.00 a month. Apple iPhone XS (512GB Silver) at £399.00 on Red Extra (24 Month(s) contract) with UNLIMITED mins; UNLIMITED texts; 4000MB of 4G data. £70.00 a month. Nokia 3 (16GB Tempered Blue) at £49.00 on International SIM with 200MB of 4G data. Extras: Top-up required: £15. Sony Xperia XZ2 (64GB Liquid Silver) at £20.00 on O2 Refresh Flex (36 Month(s) contract) with UNLIMITED mins; UNLIMITED texts; 1000MB of 4G data. £31.84 a month. Apple iPhone 6s (32GB Space Grey Refurbished Grade B) at £30.00 on O2 Refresh Flex (24 Month(s) contract) with UNLIMITED mins; UNLIMITED texts; 3000MB of 4G data. £26.15 a month. Sony Xperia L1 (16GB White) at £30.00 on O2 Refresh Flex (36 Month(s) contract) with UNLIMITED mins; UNLIMITED texts; 30000MB of 4G data. £29.50 a month. Google Pixel 3 XL (64GB Clearly White) at £30.00 on O2 Refresh Flex (24 Month(s) contract) with UNLIMITED mins; UNLIMITED texts; 30000MB of 4G data. £47.42 a month. Apple iPhone XR (128GB White) at £900.00 on Classic Pay As You Go. Extras: Top-up required: £10. Apple iPhone 7 (128GB Jet Black Refurbished Grade A) at £30.00 on O2 Refresh Flex (30 Month(s) contract) with UNLIMITED mins; UNLIMITED texts; 1000MB of 4G data. £33.20 a month. 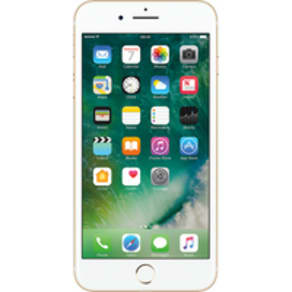 Apple iPhone 6s (32GB Silver) at £30.00 on O2 Refresh Flex (30 Month(s) contract) with UNLIMITED mins; UNLIMITED texts; 15000MB of 4G data. £34.50 a month. Apple iPhone 5s (16GB Space Grey Refurbished Grade A) at £179.99 on Classic Pay As You Go. Extras: O2: Popcorn Pass Membership + Top-up required: £10. Apple iPhone SE (32GB Space Grey Refurbished Grade C) at £30.00 on O2 Refresh Flex (36 Month(s) contract) with UNLIMITED mins; UNLIMITED texts; 3000MB of 4G data. £22.95 a month. Apple iPhone 7 (128GB Silver Refurbished Grade C) at £30.00 on O2 Refresh Flex (12 Month(s) contract) with UNLIMITED mins; UNLIMITED texts; 25000MB of 4G data. £59.00 a month. Extras: O2: Popcorn Pass Membership. Apple iPhone XR (128GB Blue) at £30.00 on O2 Refresh Flex (36 Month(s) contract) with UNLIMITED mins; UNLIMITED texts; 5000MB of 4G data. £47.17 a month. Apple iPhone 7 Plus (128GB Gold Refurbished Grade A) at £30.00 on O2 Refresh Flex (36 Month(s) contract) with UNLIMITED mins; UNLIMITED texts; 3000MB of 4G data. £34.61 a month. Apple iPhone 7 Plus (32GB Black Refurbished Grade C) at £49.99 on O2 Refresh Flex (36 Month(s) contract) with UNLIMITED mins; UNLIMITED texts; 3000MB of 4G data. £28.01 a month. 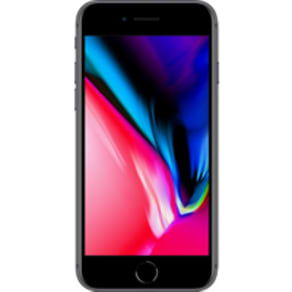 Apple iPhone 8 Plus (256GB Space Grey Refurbished Grade A) at £30.00 on O2 Refresh Flex (24 Month(s) contract) with UNLIMITED mins; UNLIMITED texts; 5000MB of 4G data. £56.42 a month. Nokia 1 Dual SIM (8GB Dark Blue) at £55.00 on Pay As You Go Big Value £20 with 1000 mins; UNLIMITED texts; 12000MB of 4G data. Extras: Top-up required: £20. Doro 8030 (8GB Black Refurbished Grade A) at £69.00 on Big Bundle 2GB with 500 mins; 5000 texts; 2000MB of 4G data. Extras: Top-up required: £10. Sony Xperia XZ3 (64GB Red) at £30.00 on O2 Refresh Flex (36 Month(s) contract) with UNLIMITED mins; UNLIMITED texts; 15000MB of 4G data. £43.20 a month. Apple iPhone SE (32GB Space Grey Refurbished Grade A) at £189.00 on Big Bundle UK & International 1GB with 250 mins; 5000 texts; 1000MB of 4G data. Extras: Top-up required: £10. Apple iPhone 8 (256GB Gold) at £30.00 on O2 Refresh Flex (12 Month(s) contract) with UNLIMITED mins; UNLIMITED texts; 50000MB of 4G data. £94.00 a month. Extras: O2: Popcorn Pass Membership. Apple iPhone 6s (32GB Gold Refurbished Grade A) at £417.99 on Big Bundle UK & International 1GB with 250 mins; 5000 texts; 1000MB of 4G data. Extras: Top-up required: £10. Samsung Galaxy A8 (32GB Orchid Grey Refurbished Grade A) at £30.00 on O2 Refresh Flex (30 Month(s) contract) with UNLIMITED mins; UNLIMITED texts; 25000MB of 4G data. £37.67 a month. Extras: O2: Popcorn Pass Membership. Apple iPhone 8 Plus (256GB Gold Refurbished Grade A) at £60.00 on Max 8GB (24 Month(s) contract) with UNLIMITED mins; UNLIMITED texts; 8000MB of 4G Triple-Speed data. £58.00 a month. With all the latest smartphones and accessories available at Westfield, it’s never been easier or more affordable to upgrade your mobile phone. From Apple to Samsung, we have a huge collection of brand-new handsets to choose from, which a wealth of smart features to keep you connected on the go. It’s up to you whether you sign up to a contract or buy the phone upfront, making the latest smartphones affordable for everyone. We also have a range of high-tech home phones in stock at great prices, including cordless options. Don’t forget to check out our retailers' extensive selection of accessories, including stylish covers and cases that offer complete protection for everyday use. Your perfect phone and accessories are waiting for you at Westfield. You can view all our latest products online today, or head down to your nearest shopping centre to ask our leading retailers for their expert advice.